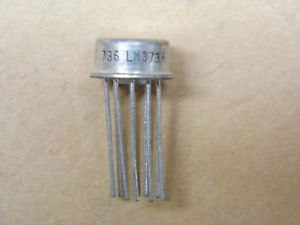 SolderSmoke Daily News: Another LM373 Rig - Pete Is Not Alone! Thanks for coming back to my call. It was a thrill to finally catch you on the air.Like I said my Soldersmoke marathon was amusing and kept me in great company on my round trip drive from Murphy NC to Chicago. While I was in Chicago I emptied my storage garage of goodies that have been there for 12 years, it was like Christmas in June. I uncovered treasures I didn't know I even had and yes I found the box of project boards that kind of or didn't work at all. I now have these treasures to play with and see with renewed eyes what I may have done wrong, or burned up. It looks like a few of these modules can be made into rigs. I also found a couple of antennas that I traded for that never made it up. Also the bigger surprise was how many parts I had kept especially the ICs that were intended to beused in rigs like the LM373's that Pete has talked about. I have one test circuit board to test the LM373 that just needed the oscillators so with my SI5351 breadboards I have what I need to get this going. Now that I'm settled into my new QTH in the wilds of western NC I will noodling and tinkering moreto get my little DSB rig on the air and an LM373 based SSB rig too, using mostly or all obsolete/vintage parts. This is something I have been noodling about for sometime now. I also will get my MMM finished. Thanks again for the QSO and I look forward to working you again. Now to melt some solder.